In the market for a new luxury SUV? Then get to your preferred Oklahoma City car dealership today. 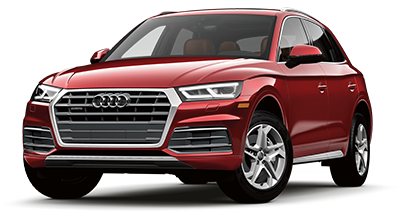 Audi Oklahoma City has all the facts and stats on the 2018 Audi Q5 and the 2018 BMW X3 so that you can decide for yourself which one is best for you. Stop by for your test drive today. We proudly serve drivers from all over Oklahoma including Edmond, Norman and Oklahoma City. If you're choosing to buy or lease a luxury SUV, chances are you're wanting a vehicle with a stylish and comfortable interior. Compare the 2018 Audi Q5's interior to the 2018 BMW X3's interior and you'll see one clearly has a more sophisticated and sleeker look inside while the other looks clunkier and less premium. That's because the 2018 Audi Q5 comes with more of the features you look for in a luxury SUV. This starts with a heated driver's seat, a standard feature on all 2018 Audi Q5 models but only an optional feature on the BMW X3. There's also the upgraded ventilated driver's seat which is available on the Audi Q5 but isn't even an option on the 2018 X3 no matter how high you go on your trim levels. You also won't get heated mirrors or Android Auto™ on the 2018 BMW X3, both standard features along with Apple CarPlay™ on the 2018 Audi Q5. Stylish or stripped down? The choice is yours. For a stylish luxury SUV, stop by Audi Oklahoma City today and test-drive the new 2018 Audi Q5. When you compare the 2018 Audi Q5 to the 2018 BMW X3, you'll see there simply is no comparison. This especially rings true when it comes to performance. The Audi Q5 comes standard with Audi quattro® all-wheel drive and If you're wanting this same option on the BMW X3, you'll have to pay extra since it comes standard with a rear wheel drive configuration. All 3 2018 Q5 models come standard with a powerful 2.0L TFSI® 4-cylinder DOHC engine paired with a 7-speed automatic transmission that can deliver up to 252 horsepower and up to 273 lb.ft. of torque. The 2018 X3? A measly 240 horsepower with just 258 lb.-ft of torque. The 2018 Q5 also beats out its BMW rival with better city fuel efficiency, rated at an impressive EPA-estimated 23 MPG compared to the BMW X3's EPA-estimated 22 MPG. Want to experience it all for yourself? Don't wait, stop into Audi Oklahoma City for a test drive today. Our luxury dealership in Oklahoma City proudly serves drivers from all over Oklahoma including Edmond, Norman and the surrounding areas. Your safety should always come first. That's why there's no greater peace of mind than knowing that you are driving a luxury SUV that is designed with this in mind. Get behind the wheel of the 2018 Audi Q5, and you'll never have to wonder if this is the case. The Audi Q5 offers standard and available safety features that include driver adaptive and front passenger dual-stage airbags, Electronic Stability Control, Hill Descent Control and much more. It's no wonder why the 2018 Audi Q5 was awarded a 5-star overall safety rating by the NHTSA and given the Top Safety Pick designation by the IIHS. 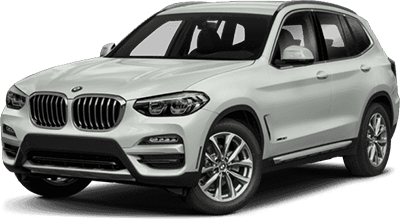 Why settle for the 2018 BMW X3 when you can drive true luxury and performance? Stop by Audi Oklahoma City today and experience everything the new 2018 Audi Q5 has to offer, and you'll see why more drivers are choosing it over the competition. Our luxury dealership in Oklahoma City offers discerning drivers like you everything you need to get behind the wheel of the new Audi of your dreams, including an extensive selection of New and Certified Pre-Owned Models, easy financing and more. We also offer our customers the very best auto repair at our maintenance and repair facility staffed by factory-certified technicians. Stop in today and see why more drivers from all over Oklahoma including Edmond, Norman and Oklahoma City, OK choose Audi Oklahoma City as their luxury retail destination.